The Outset Mesh Scrubber Grill Long Handle Brush provides stainless steel mesh pads that are safe for all grill types including porcelain. 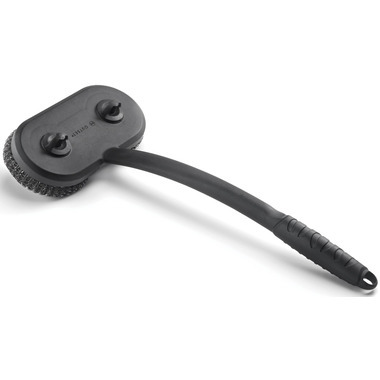 It's sturdy comfort handle makes cleaning your grill that much easier! 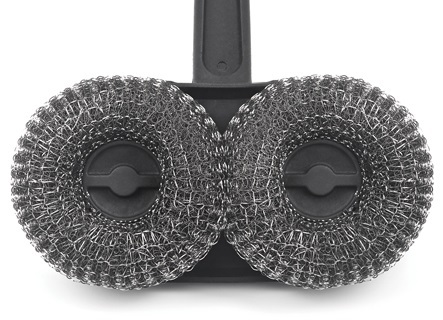 Includes 2 woven mesh scouring pads, that can be replaced. This product seems to work pretty well and I feel much safer using it than the traditional one. I haven't tried to get refills yet so I can't comment on that.